The New Jesuit Residence. Photo by Brendan Murphy. MILWAUKEE – Marquette University on Friday, Oct. 30, will dedicate its new 40,000 square-foot Jesuit Residence in honor of Dr. E. J. O’Brien, the father of Patricia Schneider, the facility’s lead donor. She is the widow of Donald Schneider, chairman emeritus and former president and CEO of Green Bay, Wisconsin-based Schneider National, a leading transportation and logistics firm. Patricia Schneider has numerous family connections to Marquette. Dr. O’Brien, a physician, graduated from the former Marquette Medical School in 1928. Additionally, two of her brothers, her daughter and son-in-law, and two of her grandchildren are Marquette alumni. The Dr. E. J. O’Brien Jesuit Residence will be home to Marquette’s community of Jesuit priests, and will feature 25 resident rooms and five guest rooms, as well as a chapel and garden space. The chapel will be named the Donald J. Schneider Chapel. “Marquette is grateful for Patricia’s gift, and we are honored to have her family’s legacy live on in this superb new home for our Jesuit priests,” President Michael R. Lovell said. Patricia Schneider, who resides in the Green Bay area, has also made significant donations to St. Norbert College, another Catholic institution in DePere, Wisconsin, and her husband’s alma mater. In 2014 she made a gift to establish the College’s Donald J. Schneider School of Business and Economics. The new 40,000 square-foot, five-story Dr. E. J. O’Brien Jesuit Residence emphasizes the Jesuit commitment to higher education, is environmentally friendly and remains at the center of campus, underscoring the university’s identity and tradition as a Catholic, Jesuit institution. It also reflects the Jesuits contemplative way of life and communal approach to daily living with the Donald J. Schneider Chapel at its center, along with additional worship and meeting spaces. 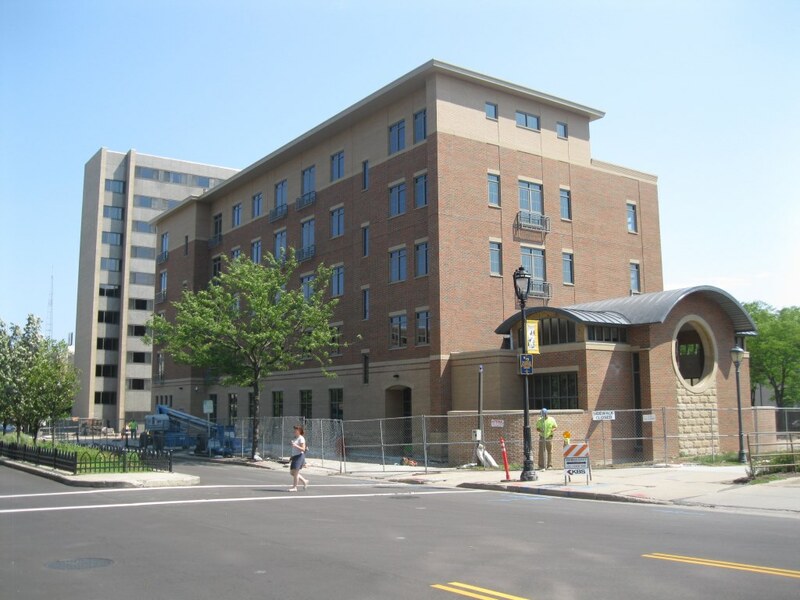 Located on the 1400 block of Wells Street and flanked by the Alumni Memorial Union and Schroeder Hall, the Dr. E. J. O’Brien Jesuit Residence fits with the university’s long-term vision to reimagine and renovate the center of campus between Wisconsin Avenue and Wells Street.